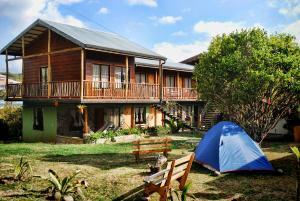 ﻿ Best Price on Hotel Santa Fe B&B - Costa Rica in Monteverde + Reviews! Hotel Santa Fe - Costa Rica is located in Monteverde, Costa Rica, 1.6 mi from Sky Adventures Monteverde and 2.3 mi from Selvatura Adventure Park. Free private parking is available on site. Each room has a flat-screen TV. 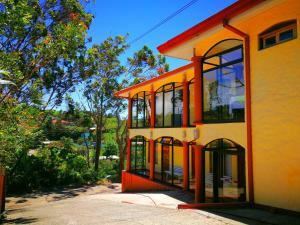 Hotel Santa Fe - Costa Rica features free WiFi throughout the property. There is a shared lounge at the property. Juan Santamaría International Airport is 47 mi away. This property is located in Costa Rica.